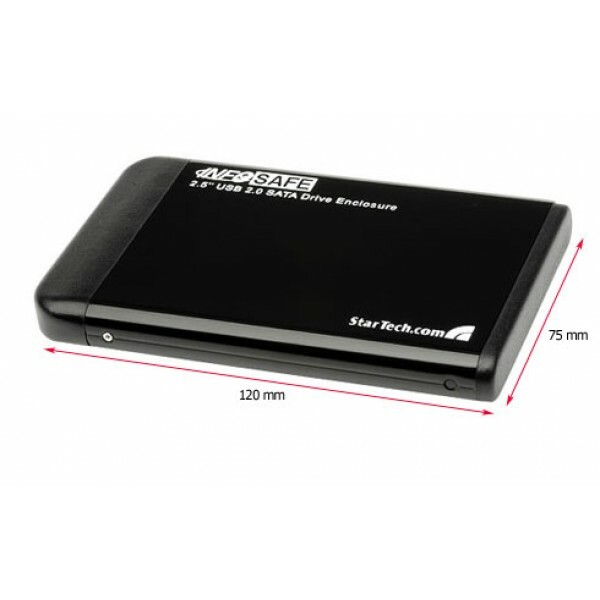 This external hard drive enclosure transforms a 2.5in SATA (SATA, SATA/150, SATA II, SATA/300) hard drive into the perfect portable storage solution. 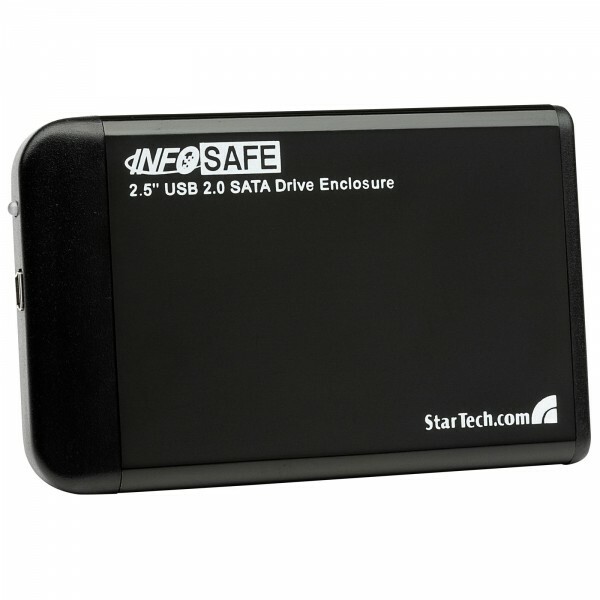 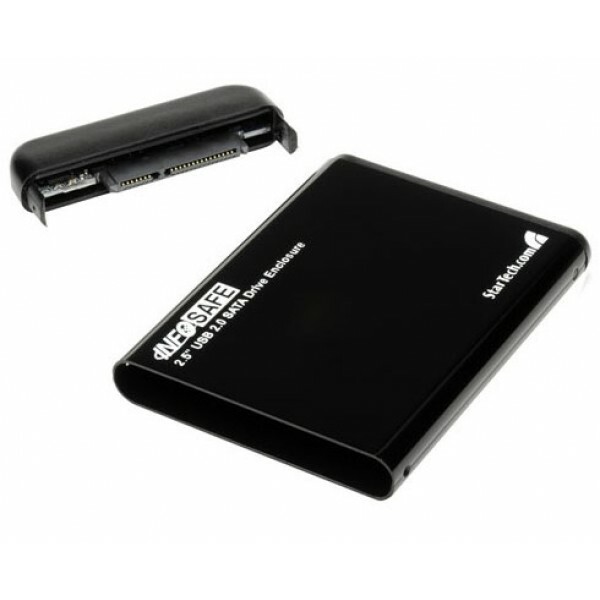 Ideal for storing digital multimedia and other demanding applications, the enclosure lets you get the most out of your hard drive, connecting to a host computer using USB 2.0 (also backward compatible with USB 1.1), for maximum data transfer rates of 480Mbps. 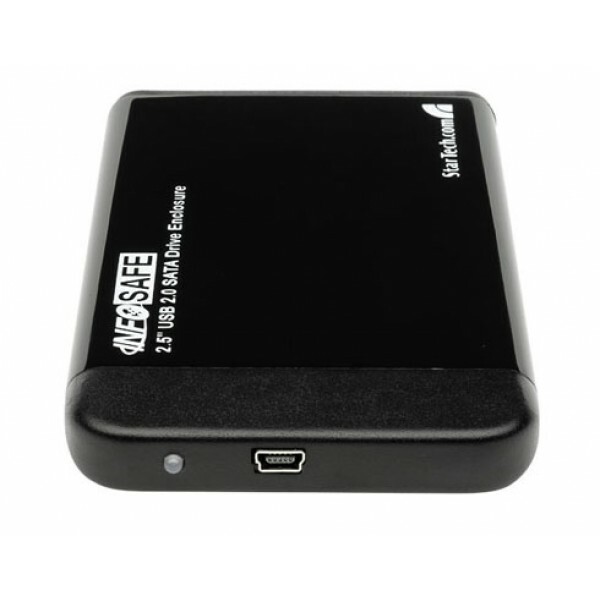 Plus, the external hard drive enclosure includes a USB Y-cable, that when both USB male connectors are connected to the host computer eliminates the need for an external power adapter.